A naturally occurring mineral of volcanic origin. Our activated clinoptilolite-zeolite powder is micronized, of a high-grade proven quality from Europe and contains a minimum of 93% natural clinoptilolite. Zeolites are 100% natural volcanic minerals with 150meq / 100g cation exchange capacity CEC. Clinoptilolite help to bind toxic heavy metals found in the body, so that they can be optimally excreted. The structure of clinoptilolite (zeolite) consists of uniform pores and/or channels in which materials may be ideally adsorbed. These channels can intercept solid, liquid or gaseous substances. Each of the channels are large enough to accommodate and adsorb even diverse molecules. Clinoptilolite (zeolite) hereby acts as a magnet for various toxins, fungi and heavy metals. Using zeolites, Japanese authorities tried to bind radioactive isotopes of these elements from contaminated cooling water that was escaping into the sea during the nuclear disaster at Fukushima. 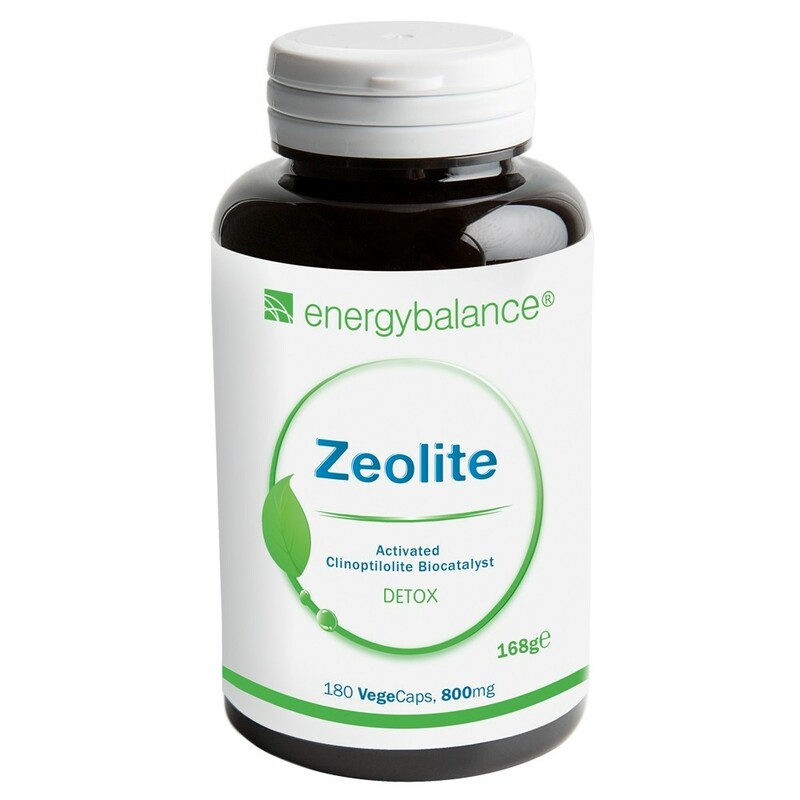 Energy Balance™ Zeolite Detox is therefore suitable for natural detoxification and cleansing of the intestinal tract. This means that the liver does not have to work so hard. That leaves the intestine with much more energy to more effectively process nutrients. Taking EnergyBalance™ Zeolite can improve and maintain intestinal health and, with it, your general health as well. Allergies, food intolerance, histamine intolerance, liver, digestive system, heavy metal exposure and more. 2-4 capsules, 2-3 times per day (max. 12 capsules or 10g / day) take on an empty stomach with plenty of water, ca. 30 min. before meals or at bedtime. A detox takes about 6 to 18 months. Try our Zeolite Capsules. Try also our Zeolite powder. Laboratory-tested, natural, micronized and activated clinoptilolite-zeolite powder with a minimum of 93% clinoptilolite content, particle size 10-50μg, microfine without nanoparticles.